Instant Pot Chuck Roast is a simple yet delicious recipe that your family will love! The tender meat and amazing sauce will make this dish a family favorite! We love Instant Pot Beef recipes! Some of our favorites include Instant Pot Roast Beef and Slow Cooker Beef and Sweet Potato Stew. Chuck Roast is one of those wonderful dishes that lets you turn an inexpensive cut of meat into a tender, juicy roast that everyone loves. This tends to take a lot of time, though, as this cut works well with low and slow cooking techniques. As much as I adore my slow cooker, I just don’t always have time to cook a chuck roast for hours on end. That’s why I love my Instant Pot! Whether I’m cooking a roast for Sunday dinner or whipping up a quick weeknight dinner after a busy day, I can have my Instant Pot Chuck Roast ready in a fraction of the time. And the sauce…oh my word. 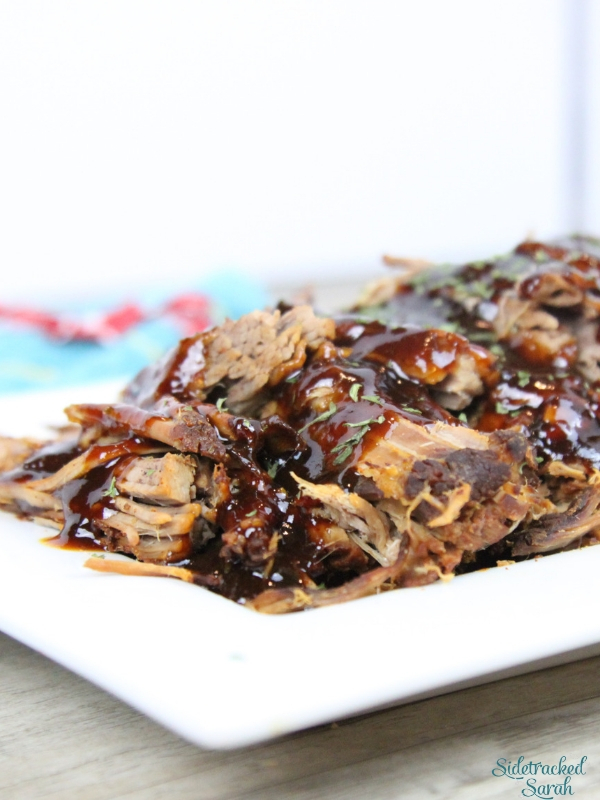 The Honey BBQ sauce that goes with this roast is amazing! There are so many different types of roasts that it can become difficult to keep track of them all. They don’t look much different in the meat case, so why all the different cuts (and prices)? Chuck roast is a cut from the shoulder area, which means that it receives plenty of exercises! This results in a cut with both a lot of flavors and a lot of connective tissue. Basically, you get a very flavorful cut for a very reasonable price, but the tradeoff is that the meat needs to be cooked for a longer amount of time to become tender. Normally, this would be done in a slow cooker or in the oven, but your Instant Pot is also an amazing way to cook a chuck roast! Pressure cooking allows the same results but in a fraction of the time. It’s a win-win situation – lots of flavor for little money and quick cooking time! WHAT SHOULD I SERVE WITH INSTANT POT CHUCK ROAST? 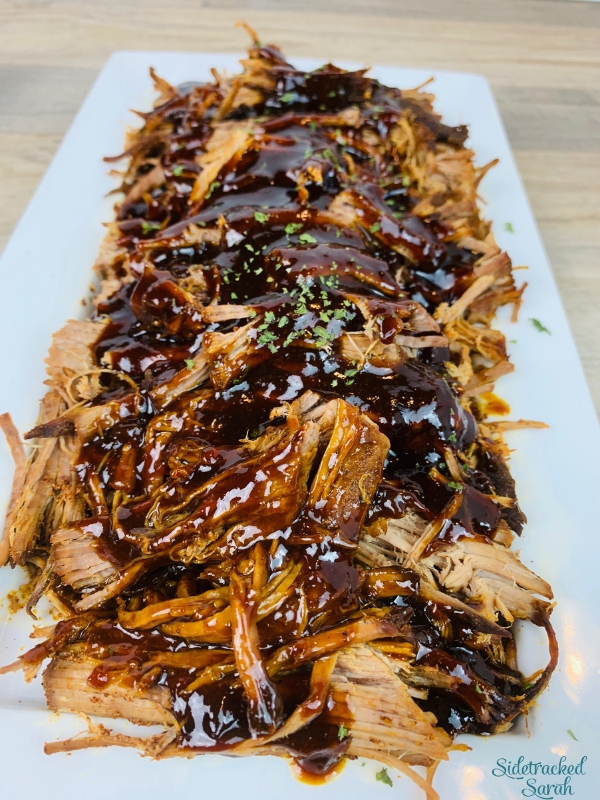 This tender, hearty roast has a sauce that’s packed with flavor, so you really don’t have to make much to go along with it! Cheesy Garlic Instant Pot Mashed Potatoes or Instant Pot Sweet Potatoes would go beautifully. Add a quick salad or steamed vegetable and you’re good to go! 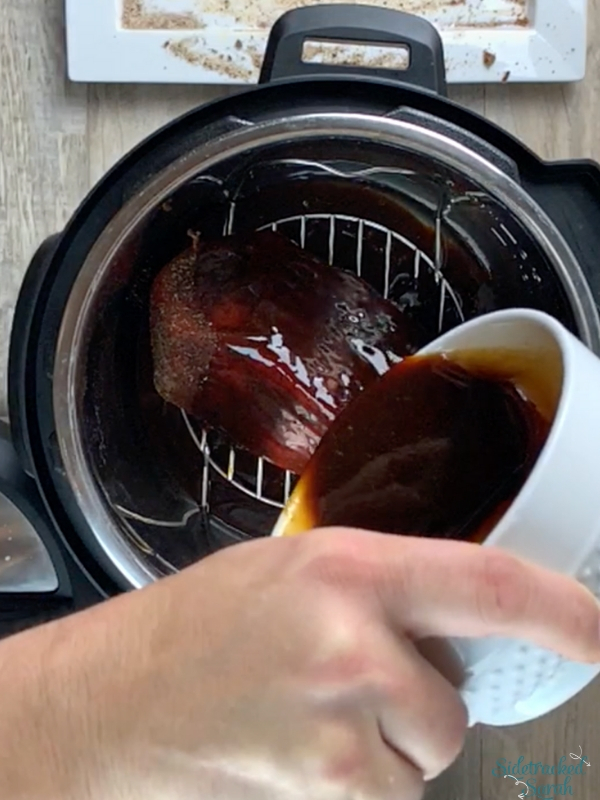 WILL INSTANT POT CHUCK ROAST FREEZE WELL? Instant Pot Chuck Roast will freeze very well! If you have leftovers, just package them up in a freezer bag or airtight container and they’ll be ready whenever you want to use them. 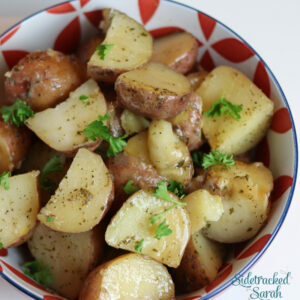 If you make potatoes to go with it, I would not recommend freezing them as they tend to discolor and take on an odd flavor. 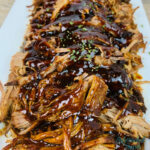 The chuck roast and sauce freeze well though, and are great for sandwiches, quick meals, casseroles, and more! WANT MORE EASY INSTANT POT BEEF RECIPE IDEAS? Whisk together all ingredients for BBQ sauce, except corn starch and water. Place trivet in bottom of Instant Pot and add one cup of water. Rub seasonings over chuck roast & place on top of trivet in bottom of Instant Pot. Pour BBQ sauce over the top of the chuck roast. Close lid and valve and set timer to Manual/Pressure Cook, high pressure for 20 minutes per pound. Once pressure has released, open lid, remove beef and shred with 2 forks or meat claws. Mix together 2 Tbsp cornstarch with 2 Tbsp cold water. Pour into sauce in Instant Pot. Turn Instant Pot to Saute and let sauce simmer until it thickens, about 15 minutes. Mix meat back in to sauce. Chuck roast is so tender with the best flavor when cooked in the Instant Pot! I love the honey barbecue sauce. I need to make more roasts. Using an Instant Pot will be so much easier than I was thinking. Yes, that’s correct. That’ll make it super easy to shred. What a great recipe! The flavor combination is incredible! A new twist on an old stand-by! Yummy! Oh my, I’m drooling over this chuck roast! I mean that sauce looks so fingerlickin’ good and the roast itself looks so moist. Adding this to my must-make list for next week. I made this recently and my family LOVED it! Thanks for an amazing recipe!